The 23andMe Health Predisposition reports (that include Genetic Health Risk)* tell you if you have genetic variants associated with an increased risk of developing certain health conditions but do not report on your entire genetic profile. Go to your Health Predisposition Reports. After you receive an email announcing “Your data is ready to view,” you will need to log in to your 23andMe account online using the email address you provided during the registration process—this is the same email address used to announce that your data was ready. Your 23andMe Health Predisposition Reports* are only accessible from within your account under the Reports tab, and are not sent via email or in hard copy. If you forgot the password connected to your account, you can reset it here. If you forgot or lost access to the email address connected to your account, please contact us. After you have successfully logged into your account, you will be asked to supply your ethnicity. While the Genetic Health Risk* reports do not require you to provide your ethnicity before your report can be generated, the 23andMe Carrier Status reports are personalized using your self-reported ethnicity and will not be generated until the ethnicity questions are completed. You will be asked to choose whether you would like to receive all Health Predisposition* and Carrier Status* Reports. Our health reports provide information about genetic risks for health conditions that could be relevant for you, your future children, and potentially other family members. Deciding whether or not you want to learn about these risks is a personal choice. You have control over what types of information you would like to see and can choose to exclude certain sensitive reports that you may not want to view. You can review important information about our Genetic Health Risk* (included within the Health Predisposition category) and Carrier Status* reports. If you choose to not receive these reports, you can include them at a later time from within your account settings. You will also have the choice to remove these reports from view at a later time, however, please remember that once you have viewed your genetic information, the knowledge is irrevocable. Take me to the page where I can choose whether to receive health reports. The Late-onset Alzheimer’s Disease Report*, Parkinson’s Disease Report*, and BRCA1/BRCA2 (Selected Variants)* require you to make an additional choice after you have agreed to receive health reports. Some people may be upset by learning about personal risks, and risks for family members who share DNA. To learn more about the disease and report, click the “Learn more” link next to the title of the report on the reports configuration page. If you choose to exclude these reports, you will have the option to include them at a later time from within your account settings. The 23andMe reports are only accessible from within your account; you must log in to your account to print your reports. To print an individual report, click on the Print button in the upper-right corner of the report. To print a summary of your reports, select All Reports from the Health or Ancestry dropdown menus, then click on the Report Summary button in the upper-right corner. Take me to a printable summary of my reports. I’m concerned about my data. What should I do? 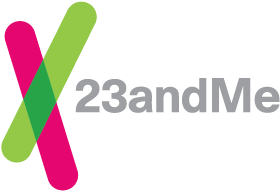 *The 23andMe PGS test uses qualitative genotyping to detect select clinically relevant variants in the genomic DNA of adults from saliva for the purpose of reporting and interpreting genetic health risks and reporting carrier status. It is not intended to diagnose any disease. Your ethnicity may affect the relevance of each report and how your genetic health risk results are interpreted. Each genetic health risk report describes if a person has variants associated with a higher risk of developing a disease, but does not describe a person’s overall risk of developing the disease. The test is not intended to tell you anything about your current state of health, or to be used to make medical decisions, including whether or not you should take a medication, how much of a medication you should take, or determine any treatment. Our carrier status reports can be used to determine carrier status, but cannot determine if you have two copies of any genetic variant. These carrier reports are not intended to tell you anything about your risk for developing a disease in the future, the health of your fetus, or your newborn child's risk of developing a particular disease later in life. For certain conditions, we provide a single report that includes information on both carrier status and genetic health risk. Warnings & Limitations: The 23andMe PGS Genetic Health Risk Report for BRCA1/BRCA2 (Selected Variants) is indicated for reporting of the 185delAG and 5382insC variants in the BRCA1 gene and the 6174delT variant in the BRCA2 gene. The report describes if a woman is at increased risk of developing breast and ovarian cancer, and if a man is at increased risk of developing breast cancer or may be at increased risk of developing prostate cancer. The three variants included in this report are most common in people of Ashkenazi Jewish descent and do not represent the majority of BRCA1/BRCA2 variants in the general population. This report does not include variants in other genes linked to hereditary cancers and the absence of variants included in this report does not rule out the presence of other genetic variants that may impact cancer risk. The PGS test is not a substitute for visits to a healthcare professional for recommended screenings or appropriate follow-up. Results should be confirmed in a clinical setting before taking any medical action. For important information and limitations regarding other genetic health risk reports and carrier status reports, [visit https://www.23andme.com/test-info/] [click here]. What Health Conditions Are Not Included in 23andMe? What features are being discontinued in the new 23andMe experience?